This is part 5 of 5 of my Crushing It With Video series on how to create awesome videos for your online business. 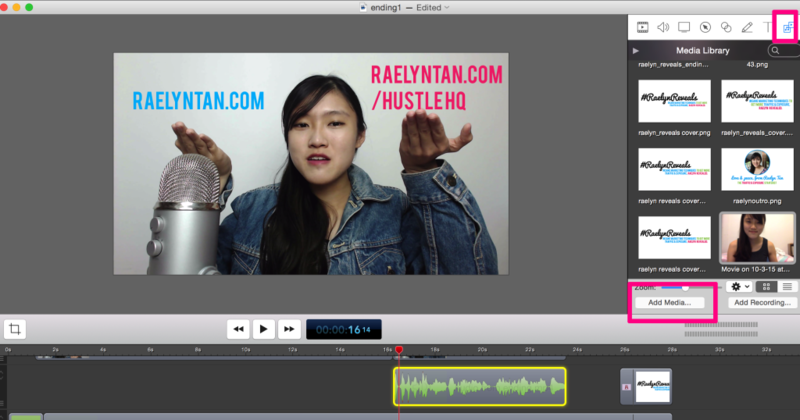 After you’ve filmed your raw footage, there are a couple of things that you should do when editing your raw footage. 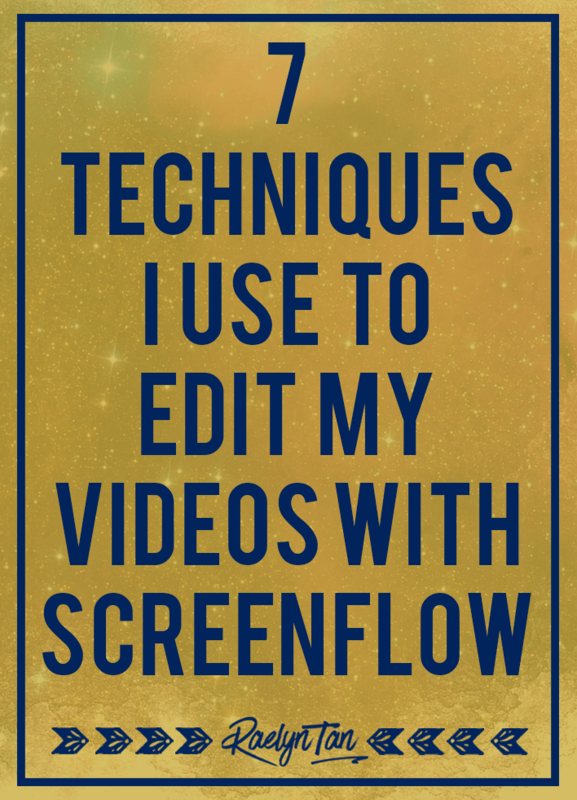 Here’s how I edit my videos with Screenflow. It’s like magic for my videos. 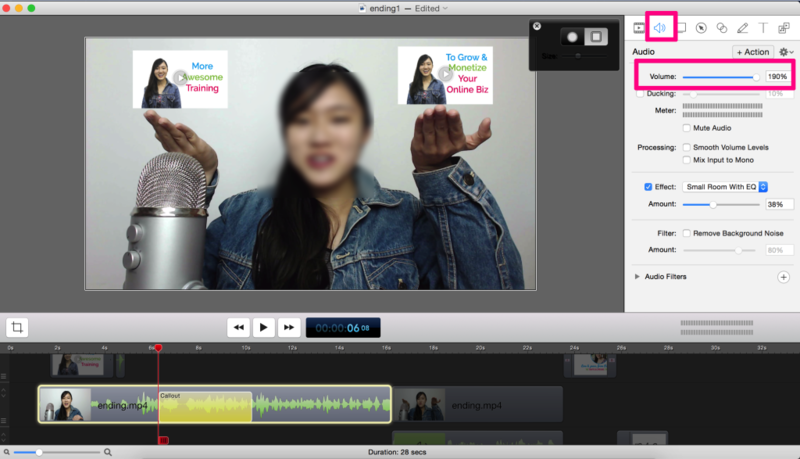 If you’re on the PC and using Camtasia, you may need additional materials as this tutorial is geared towards Screenflow users. However, the functions are probably the same, just placed a little differently. 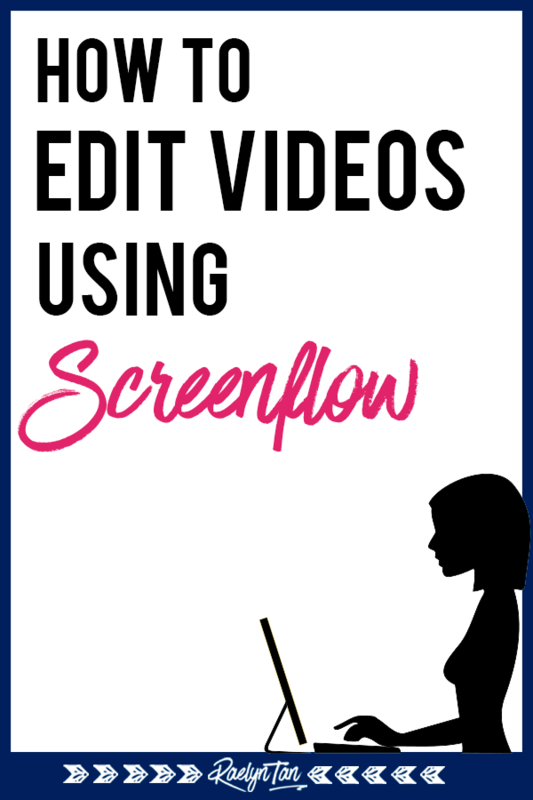 🙂 This tutorial is for editing videos with Screenflow. Let’s go! In Screenflow, it’s super easy. Select the audio clip on your timeline and check the box that says “remove background noise”. Don’t you hate it when the videos have a background static noise? This’ll get rid of most of them. Sometimes my videos sound horrible, but the sound is always much better after checking the box. As I’ve a tendency to add word fillers into my sentences, which led to fears of being in front of video, this is an extremely useful technique. Word fillers include your “errs” and “erms”. I also have a tendency to ramble on and make unnecessary pauses. Cutting out parts prevents my video from becoming unnecessary lengthy. Like your favourite cake (gosh, don’t we all love chocolate cake), you can split parts of your videos up into smaller pieces, and then delete those that you don’t want. You can shift different portions of your video around too. Select the relevant clip > Click on edit > Click on split clip to split your video clips up and delete those that you don’t want in your video. 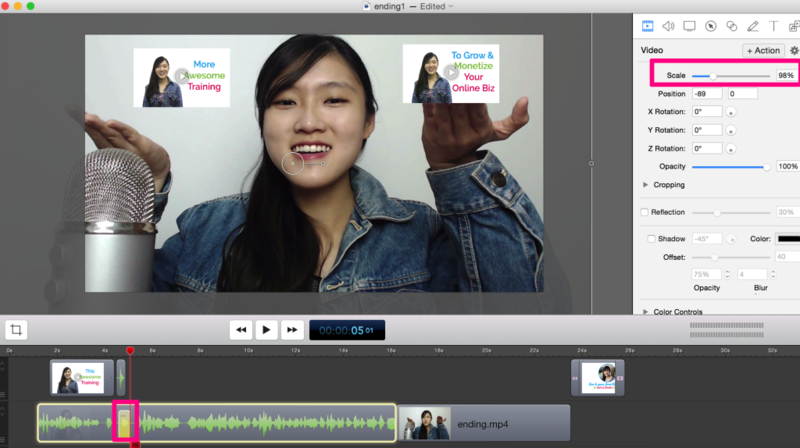 You may want to add a video intro or outro. It makes things a lot cooler. Click on the “media library” tab (the last tab) in the right sidebar, then click on add media, find the video file/ image that you like and drag it to the front/ back of the timeline. 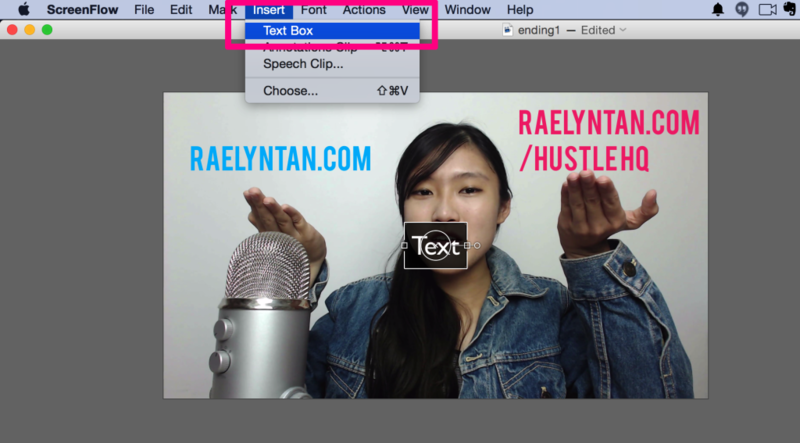 You can add text by clicking on “insert” and “text box”. A text box will appear: you can change the font face, font size, colour, etc. and shift it to your desired position. To add music, you do it via the add media button just like how you add an extra video or image into your video clip (refer to number 3). Drag it into your timeline. Zooming in and out makes things clearer for your audience. 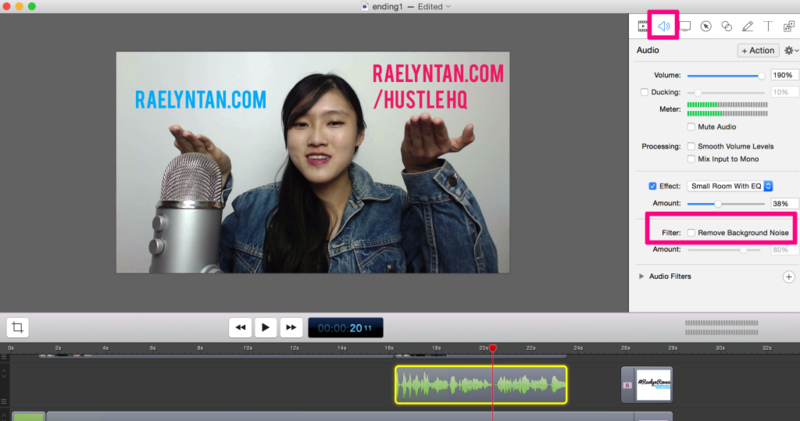 Don’t you think that videos with zoom look a lot more professional? Immediately toggle the scale on the right sidebar to zoom in (or out) at whatever object you want. Repeat and create another “action” if you want to zoom back in or back out. Sometimes you don’t want people to see certain details on your screen. You can blur them out with Screenflow. I use this when I’m logging into WordPress, and I don’t want people to see my username or passwords. Or you may want to mosaic certain details of your screen to protect your privacy. Anything goes. It’s complicated to explain without recording a video, so here’s the best and most direct tutorial you should watch to learn how to blur stuff out. There are times when I accidentally record myself too soft or too loud. This technique allows me to adjust the volume of my audio. It saves me a lot of time as I don’t have to re-record. You can easily edit this in Screenflow. 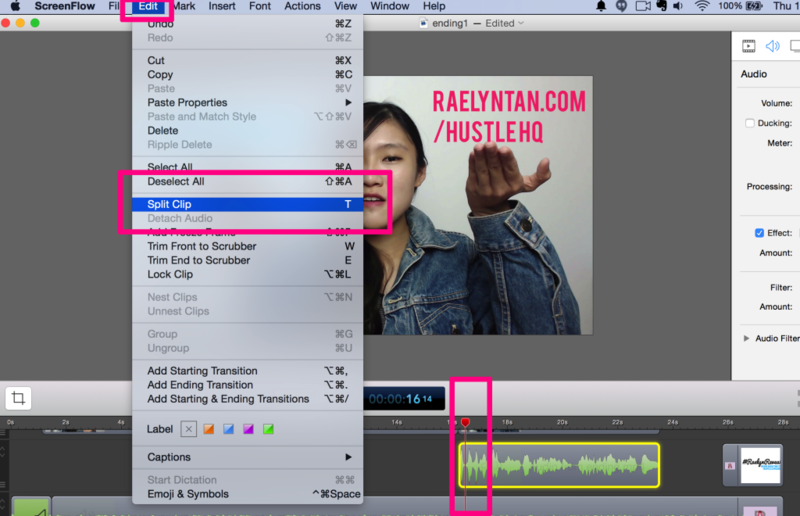 Click on the audio tab on the right sidebar (second tab), and then slide the toggle to adjust the volume as desired. 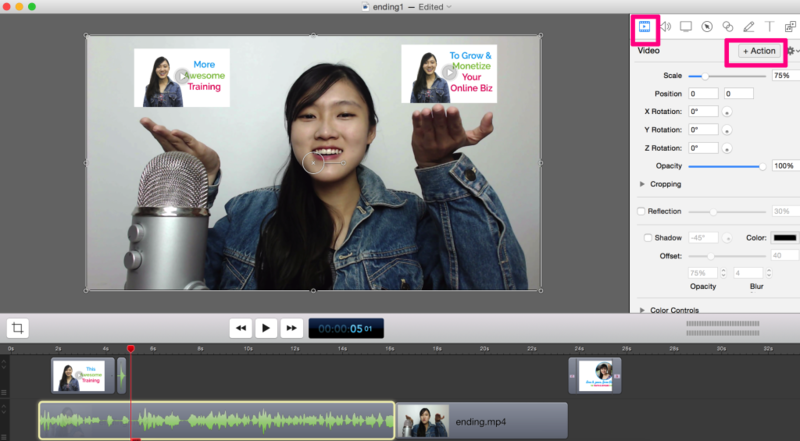 Congratulations, you’ve learnt the basics of editing your videos! 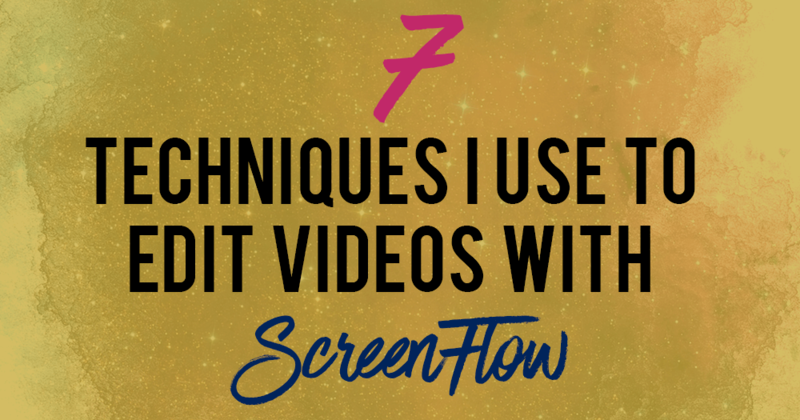 Now you have learnt the basics of editing your video with Screenflow. You have all the information you need. Now the best way to learn is to do it yourself. So just get started asap. Great set of tips. Thank you! Hey Sherri, personally I did the former!